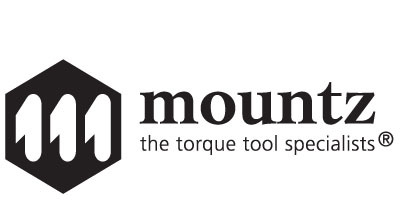 The MTWD is a new digital torque wrench from Mountz Inc. that provides a digital display of torque readings. The tool is designed for screw tightening, fastener audit and general torque measurement and provides a visual, acoustic and sensory signal (handle vibrates) when the pre-set torque is reached. The user-friendly MTWD digital torque wrench is a simple to use and displays real time torque values. The wrench offers four units of torque measurement: N.m, lbf.ft, lbf.in, kgf.m. Simply pre-set the desired torque value and apply force until the green LED illuminates and the handle vibrates. Great for light industrial, automotive, electronics and aircraft applications. Perfect for noisy environments. The MTWD digital wrench is designed for an operator to easily program a pre-set torque value. The operator can set the tolerance parameters for the digital torque wrench to control the Go and No-Go response signal. The operator sets a lower and upper torque thresholds to get a visual, audible and sensory warning signals when the pre-set torque limits are reached or breached during operation. This function is primarily used for safety and quality control. Controlling torque is essential for companies to ensure their product’s quality, safety and reliability isn’t compromised. The failure of a three-cent fastener that isn’t properly tightened can lead to catastrophic or latent failures. Fasteners that are insufficiently torqued can vibrate loose and excessive torque can strip threaded fasteners. Using a quality digital torque wrench has become increasingly important for many companies to ensure that proper torque is being applied and maintains gauge requirements associated with the ISO 9001 Quality Standard.